Coworking is a global trend that is growing in popularity every month. A great place to interact with your peers for entrepreneurs, freelancers, and small startup teams a coworking space provides all the business amenities you might need while you get your business off the ground. 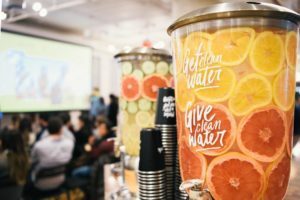 The leader in this global movement has been WeWork. WeWork is currently the 9th most valuable startup in the world valued at $16.9 Billion, with 32 office spaces in NYC and opening more by the week. In NYC there is a WeWork close by in your favorite neighborhood to get your work done whenever you need to. But if you want to work at the best WeWork in New York regardless of location, that can make things a little more difficult. We wanted to dig into each location in New York and find out which one was the best and why. Here is every WeWork coworking space in NYC ranked from last to first. The only WeWork coworking space in NYC that coworkers seem to not enjoy. Grading against every other NYC WeWork, Grand Central has a lot of work to do. These are all new spaces with an incomplete grade. If I lived near one of them I would want to be a part of the entrepreneurial community at the coworking space from day one. This is the perfect way for you to play a big role in your local network. These three spaces have favorable reviews but average out at three and a half stars on Google, Yelp and Facebook. I generally try to look for office spaces in NYC that average four and a half stars or better. These are all newer spaces with good reviews early on. If you live near one of these spaces there is no reason to not try them out. Irving Place is better than the other two so far and they are clearly the top NYC office space in this tier. These are all well-established spaces that have favorable reviews overall. This tier is a real test for you if you are trying to decide between working at the closest space possible or the best one. These are good coworking spaces that you will be happy with but lack special qualities that keep them out of the top 13. These are the newer spaces that have outstanding reviews. They do not have a long track record of providing an outstanding experience like the top ten but so far they could not have happier clients. 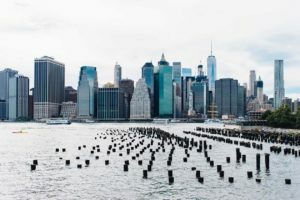 If you live near one of these coworking spaces or they are in the ideal location for your clients there is no reason not to have your NYC office space in these locations. There are lots of sought-after amenities here, like a dog-friendly vibe, a dozen spacious conference rooms, and a room for new mothers. The laid-back community here attracts businesses from small startups to established companies, and many of them are in the tech fields. Penn Station is the terminal for Amtrak and New Jersey Transits trains and this coworking space is a magnet for commuters. The members here, who cover every type of business but lean toward the tech fields, gravitate to the expansive common area on the 10th floor when they are looking to chat with clients or huddle with their team. It’s a dog-friendly space, so bring along your four-legged friend. Madison Square Garden is nearby, meaning you have don’t have to go far to enjoy a game with the Knicks or the Rangers. For an office space, that’s in the middle of it all, head to Penn Station. Steps from the Theater District, this New York office space is designed as an ode to the neighborhood’s colorful history—eye-catching art, slick wallpaper, and colorful neon signs add a whimsical touch. 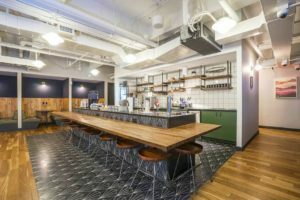 Occupying 13 full floors, the coworking space includes a private lobby and a spacious common area on the 17th floor where you can host an event. There’s also a wraparound roof terrace with an amazing view of Times Square. Near the iconic Flatiron Building, this New York office space encompasses 10 floors of a 17-story building dating from the 1920s. It’s a sprawling space, but a thoughtful design ensures that there are always some tucked away corners where you can concentrate. They also have common areas perfect for hosting a large-scale event. They have a bike room and lots of eye-catching original art. The types of businesses attracted to Nomad run the gamut from newly launched tech companies, fashion bloggers, architects, and venture capitalists. In the heart of the Financial District, this New York office space treats you to panoramic views of the Hudson and East rivers. Formerly occupied by Goldman Sachs, the 30-story tower puts you close to the iconic New York Stock Exchange and everything else in Lower Manhattan. The 16th, 17th, and 18th floors have a bright and vibrant interior design, while the 28th and 29th floors have a more sophisticated lounge atmosphere. With lots of common areas and more than three dozen conference rooms, there’s always space to meet with your staff. The coworking space attracts a wide variety of businesses, with many members working in finance, marketing, advertising, and tech. At the crossroads of SoHo, Nolita, Little Italy, and Chinatown, this New York coworking space is the original WeWork location. This 1910 building set the tone for WeWork locations to follow, with the six floors revealing exposed brick, towering columns, and huge windows letting in lots of light. The members who work at SoHo—many of them creative agencies, but there’s a surprisingly broad range of other industries as well—appreciate the pet-friendly vibe, the wide swaths of desks ready at a moment’s notice, and cool common areas like the ground-floor lounge. There are frequent workshops and mixers designed to foster a collaborative environment. 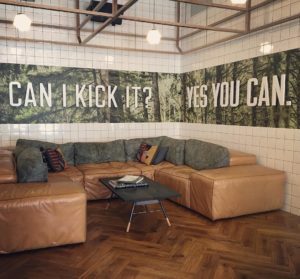 In one of Brooklyn’s fastest growing neighborhoods, WeWork Dumbo Heights is bustling with energy—the vibe is fun, lively, and collaborative. This Brooklyn office space consists of two industrial-style buildings connected by a sky bridge: Prospect, which has nine coworking floors, and Sands, which has four. The views here, especially from the upper floors, extend to the Williamsburg Bridge and beyond to the Manhattan skyline. 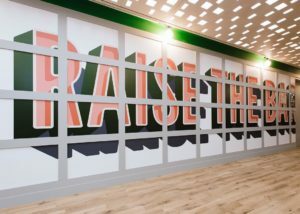 The colorful common area features engaging murals painted by the design studio Morning Breath, an espresso bar with its own barista, and space for ping-pong, foosball, and an Xbox. A room for new mothers is a nice perk that is also available. More than 1,000 people call this dog-friendly space their home, and they represent a wide range of businesses from music to software to clothing. Bryant Park is tied for the #1 spot in our rankings and is ranked #2 by the closest of tie-breakers. They are more 1A than a clear #2 for the best WeWork Coworking Space in NYC. You’d be hard-pressed to imagine a grander entrance than at WeWork Bryant Park, a neoclassical gem dating from 1902. From the handsome lobby, a wrought iron staircase sweeps you up to the elegant event space with a coffered ceiling and towering windows overlooking one of the city’s most popular parks. The 11 floors of this New York office space attract a wide range of businesses, from fashion and design to finance and investment banking. 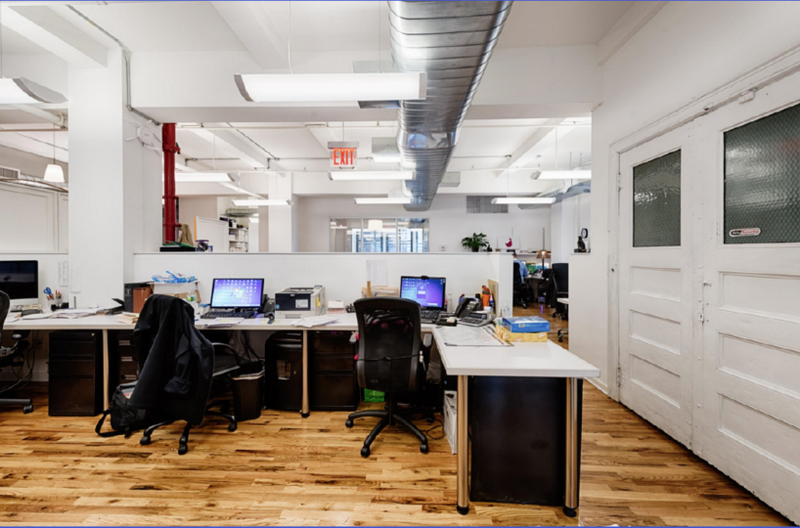 With grand surroundings, a vibrant neighborhood, and a creative community, this New York office space is a compelling place to grow your business. There’s an array of conference rooms, but the shared spaces are smartly arranged so that you can meet with colleagues or get to know new clients in tucked away spaces. The second-floor common area is the building’s nerve center: dozens of meetings take place there every day, and in the evening there’s almost always a workshop or cocktail gathering. Beautiful office space. I did a drink and paint event here. That was the name of the event “Drink and Paint.” It was awesome. We drank, ate, listen to a short talk, and made paintings. 5 stars. Very nice space, central, slick, all the essentials, 5 stars. Amazing Work place I love It, 5 stars. Nice place and people. 5 stars. One of the nicest WeWorks I’ve been to, 5 stars. Great place, and great location. One of my favorites, 5 stars. Great place to work. Great place for startups and small businesses. Many convenient locations. Free coffee and beer. Opportunity to network. Comfortable desks and lounge area. Great staff. 5 stars. What is a loss factor and how do you calculate it?